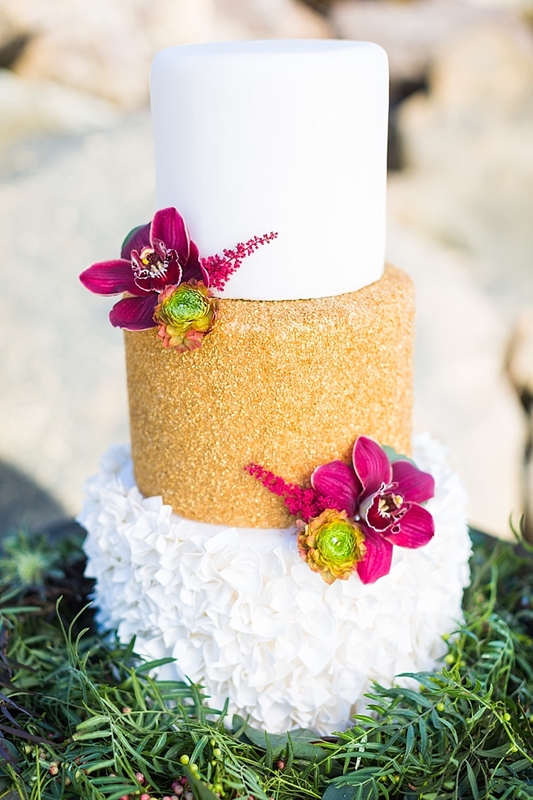 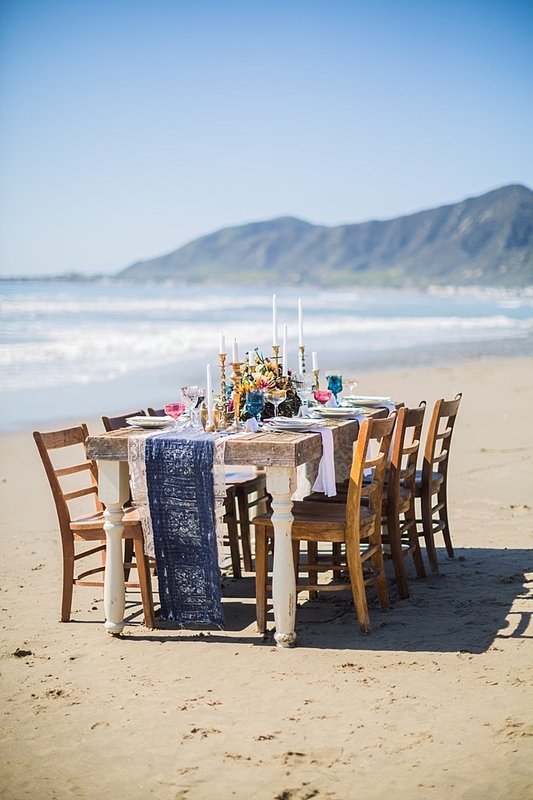 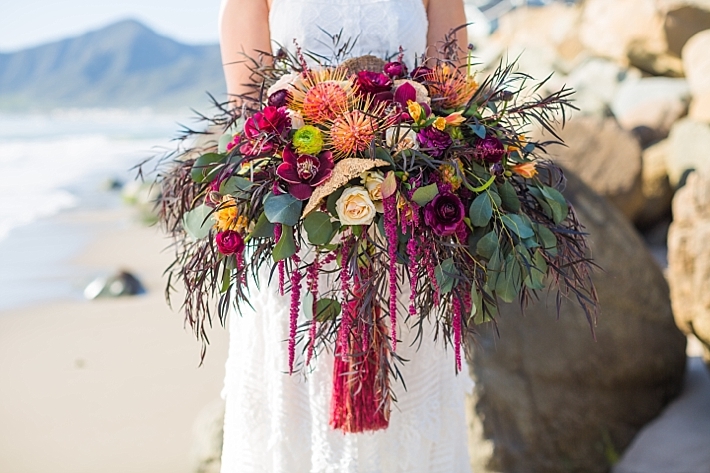 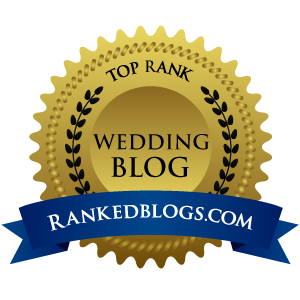 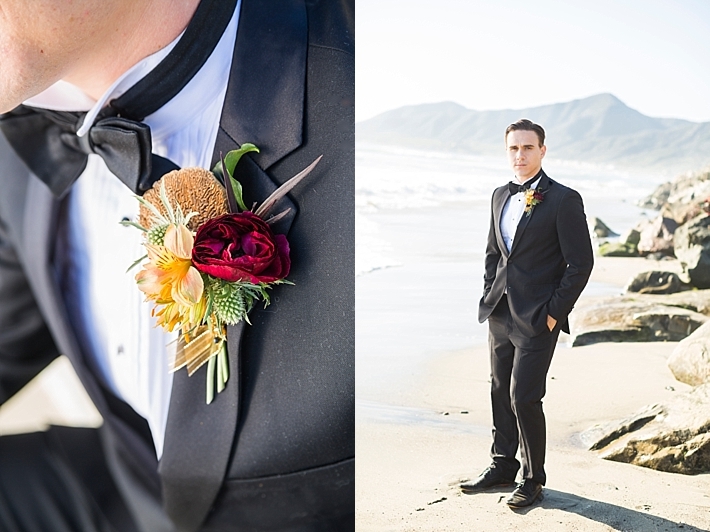 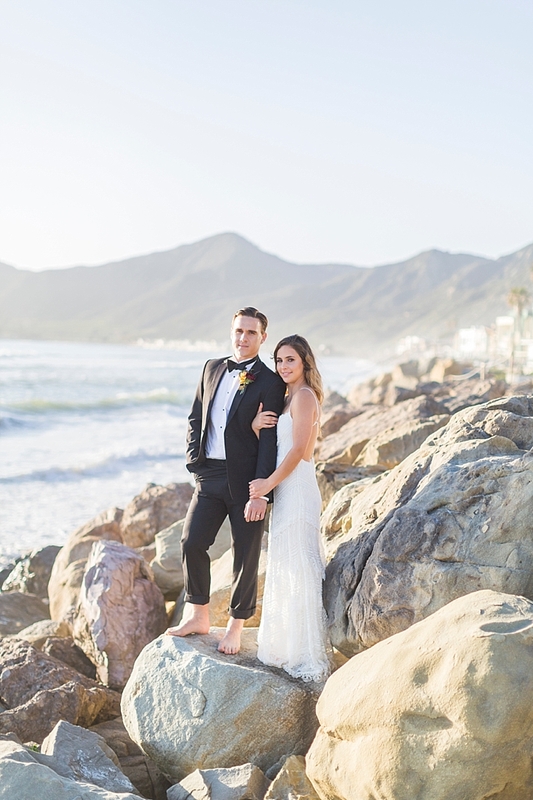 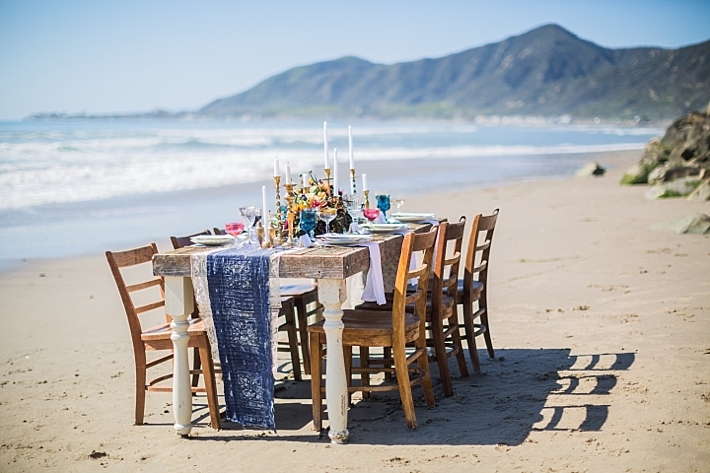 "Nestled between the Pacific Ocean and the Santa Ynez Mountain Range lays a stretch of beach as private and picturesque as the couple who chose this location for their Memorial Day elopement. 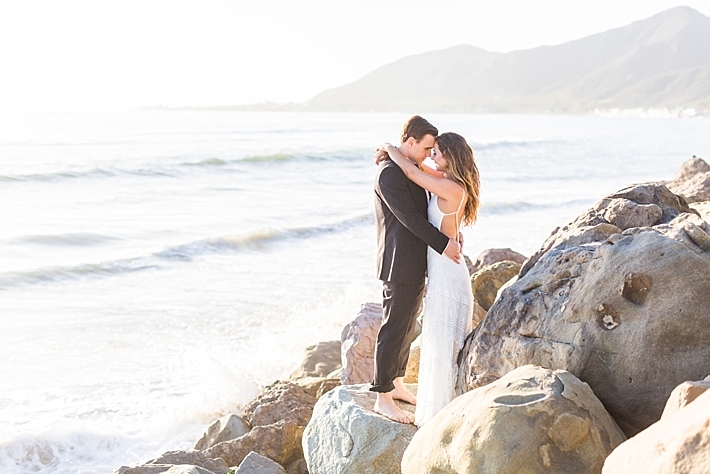 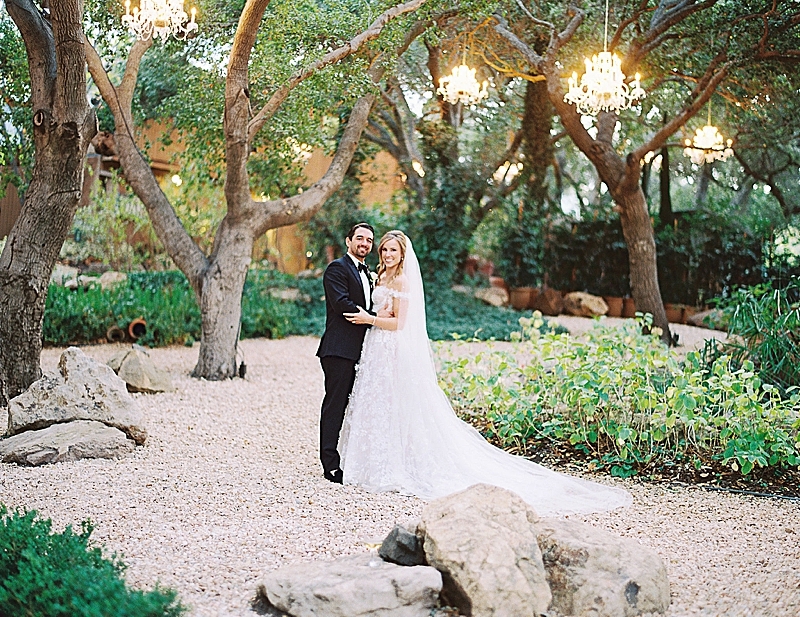 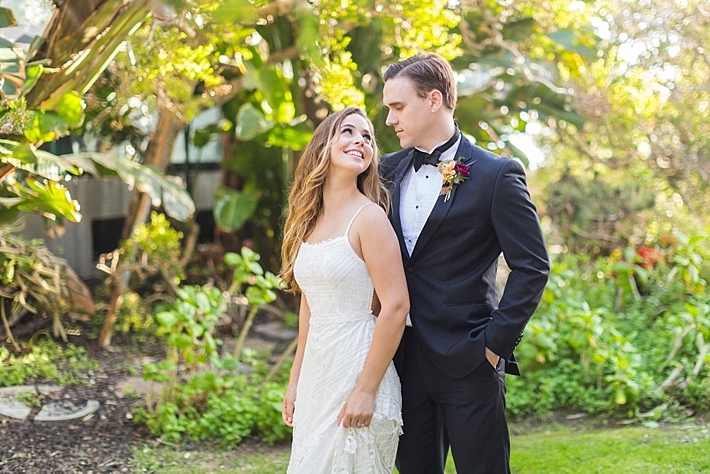 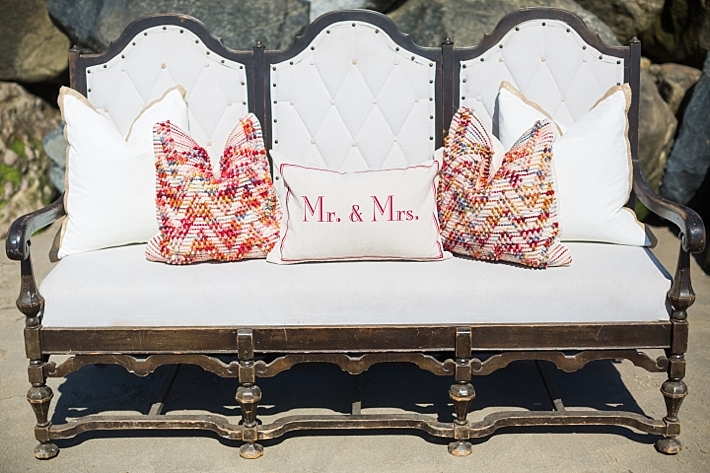 Seeking a seashore venue, sans prying public eyes, the bride and groom landed upon a beachfront home located on a secluded stretch of beach in southern Santa Barbara. 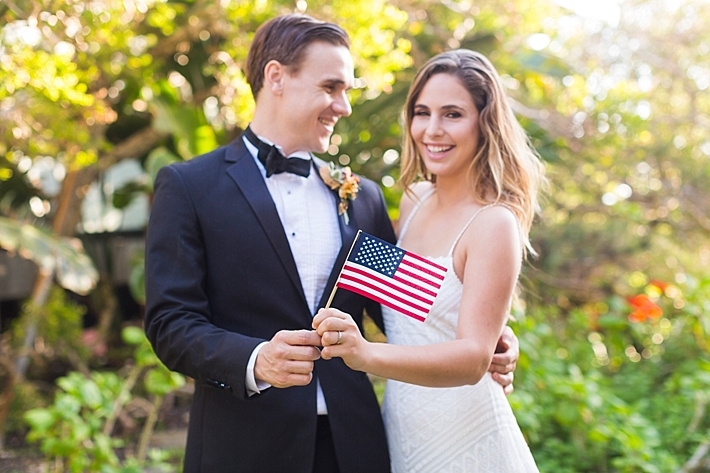 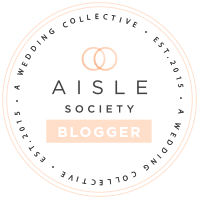 Upon securing their ideal venue, the couple enlisted a team to bring their vision to life; a marriage of beach romance, vintage aesthetic, and a salute to the red, white, and blue. 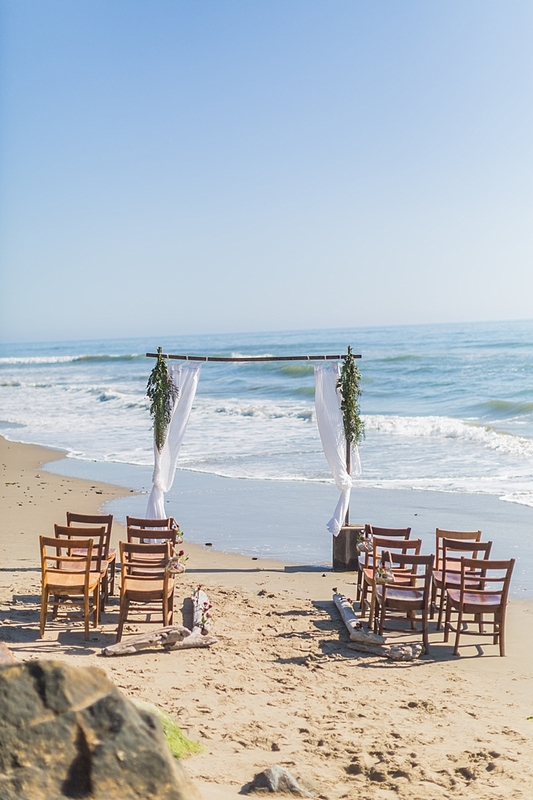 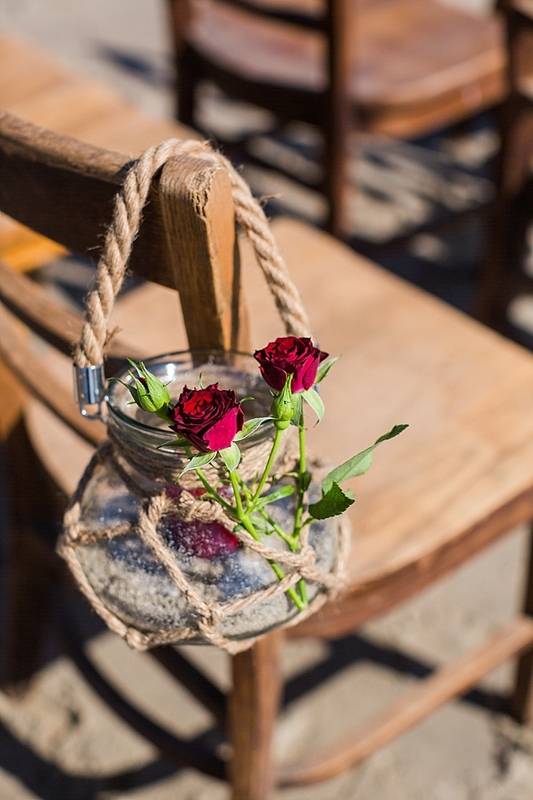 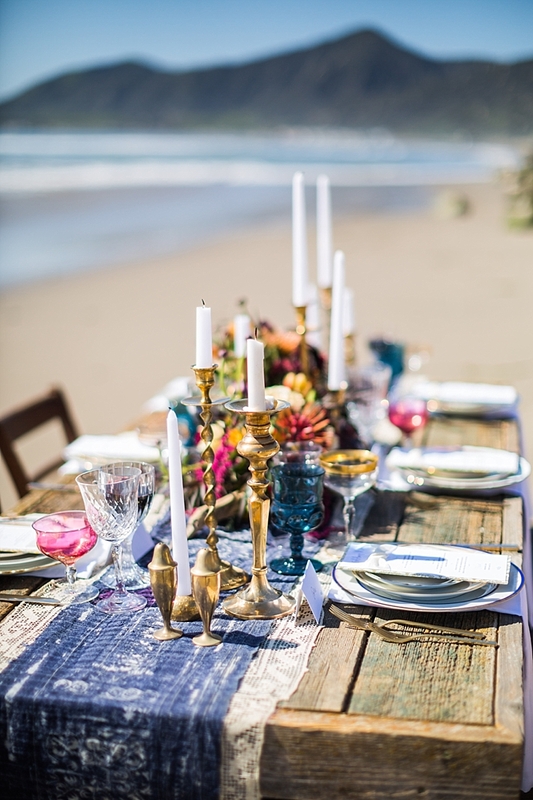 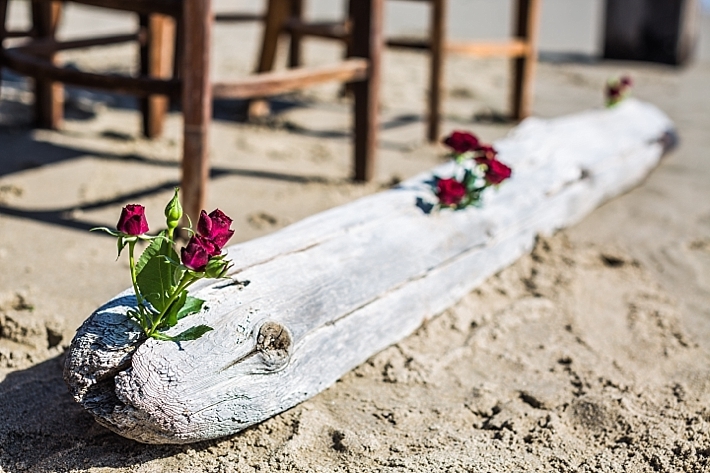 The couple's vision was implemented by first incorporating pieces of furniture and decor that were in keeping with the beach aesthetic; tables handcrafted of vintage wood, aisle runners of natural driftwood, and an arbor as light in design as the beach air behind it. 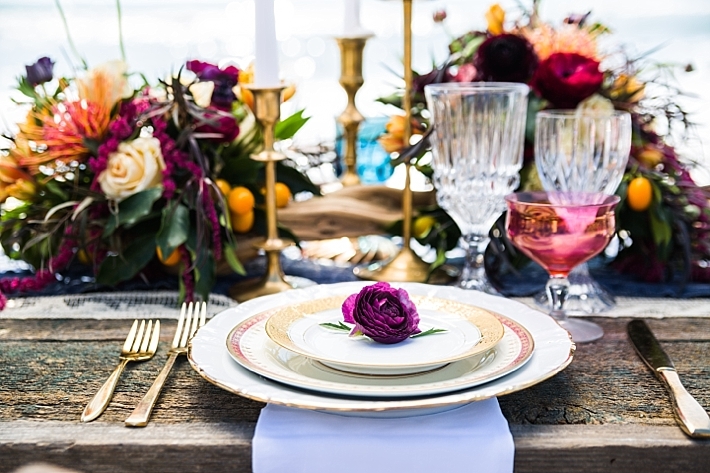 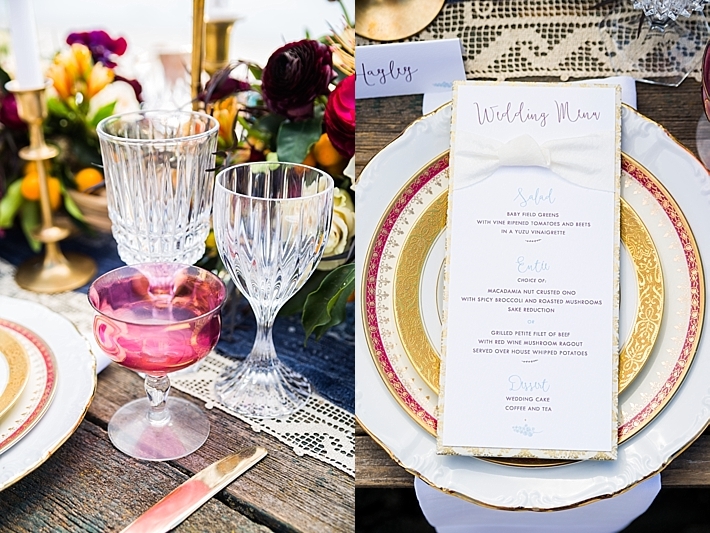 Next, the scenes were softened with vintage place settings; a beautifully eclectic mixture of cut glass goblets, gold trimmed champagne coupes, stacked china and brass candlesticks, all accented by gold flatware. 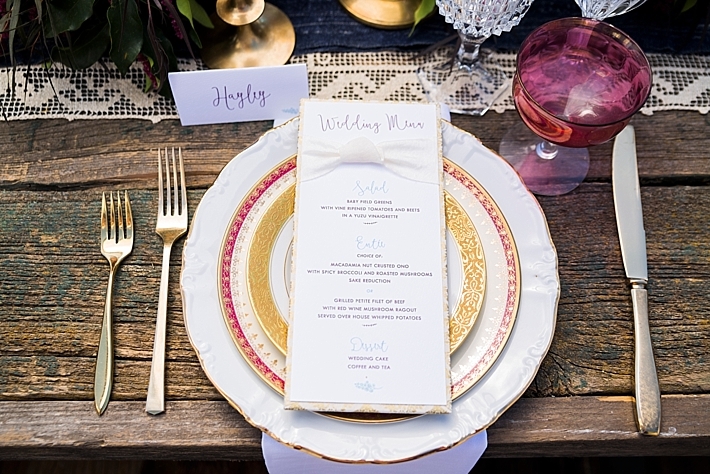 The place settings were accompanied by name and menu cards, set on gold and ivory paper and finished with a soft, textured bow.